The Window Store in line sliding patio door offers superb quality at competitive prices. These popular sliding doors are ideal as internal room dividers or external entrances and they are available in 2,3 or 4 pane options making them suitable for most applications. The easy glide system means the internal pane of the patio door glides effortlessly making them secure and easy to operate. 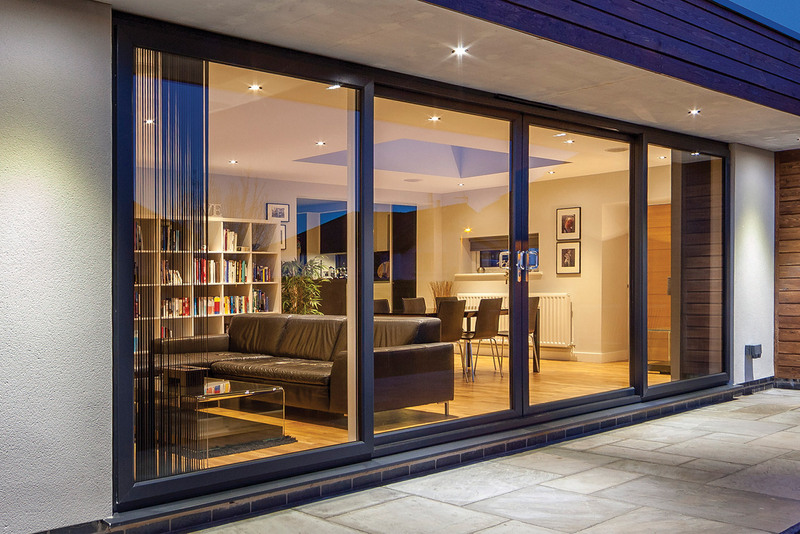 All of our sliding doors are made from thermally efficient UPVC and feature 28mm thick double glazed units. A slim-stepped 86mm outer frame provides a slim line design that is easy to fit and minimizes the amount of plaster cutback required. Straightforward installation allows you to be more efficient and produce fantastic results. Our sliding doors are built to your specification ensuring you get the perfect door for the job in hand. We offer the complete package: made to measure to your exact sizes; a choice of hardware style and colour; a choice of profile colour including white, woodgrain effects and colours; and a selection of glazing options including encapsulated blinds. In addition to the aesthetic options we also offer security that is second to none. Our patio doors are steel reinforced and have a secure six point locking system as standard. They feature inbuilt ‘anti-jacking’ hardware which prevents the doors from being lifted or bumped from the outside and we can also offer an upgrade to meet Secured by Design specification. For a free quote contact your local branch. Our triple-track system is a great alternative to a folding door for a larger opening.